Although On Her Majesty's Secret Service looks pretty in the first photo, it looks magical in the second macro shot. Oh how did I forget about the macro lens add on lens!! I think I'm going to use it for more nail polish photos. 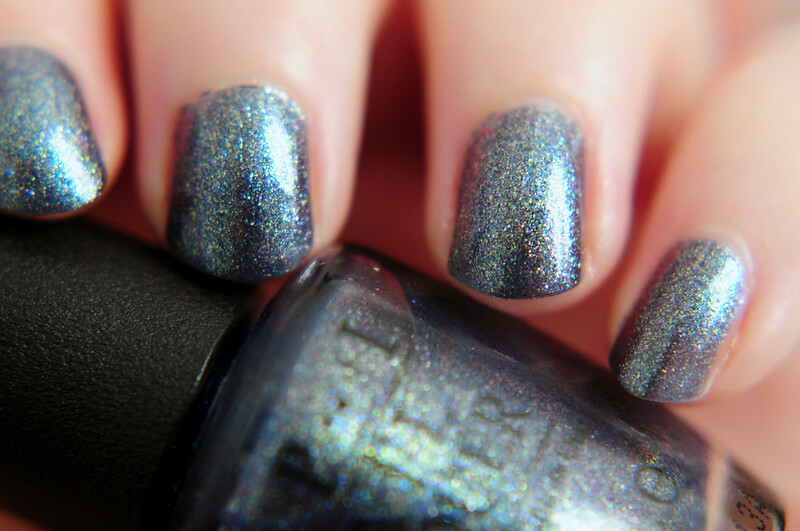 On Her Majesty's Secret Service has a smoky blue base with green/blue/gold/pink shimmer running through it. The formula is a little on the sheer side but not as bad as some nail polishes. 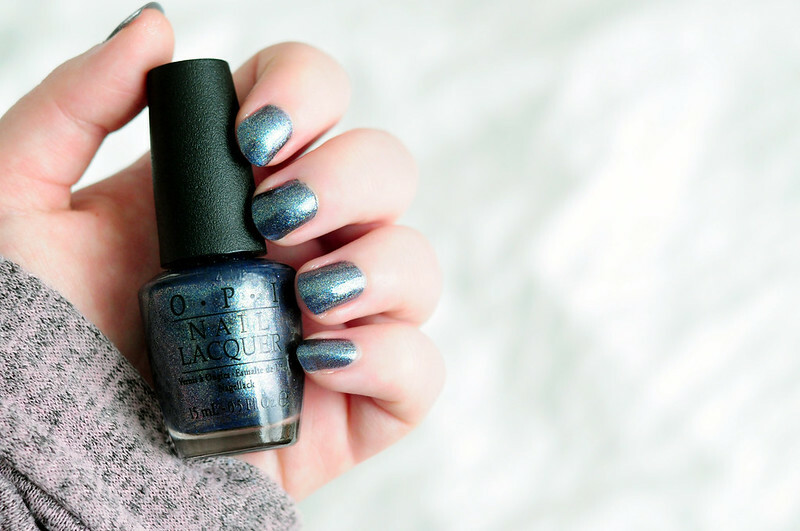 It has a smooth finish and is actually easy to remove unlike other glitter nail polishes.